Dimensions: 15-1/4" W x 31-1/2" H (39 x 80 cm)See inset illustration for detailed dimensions. 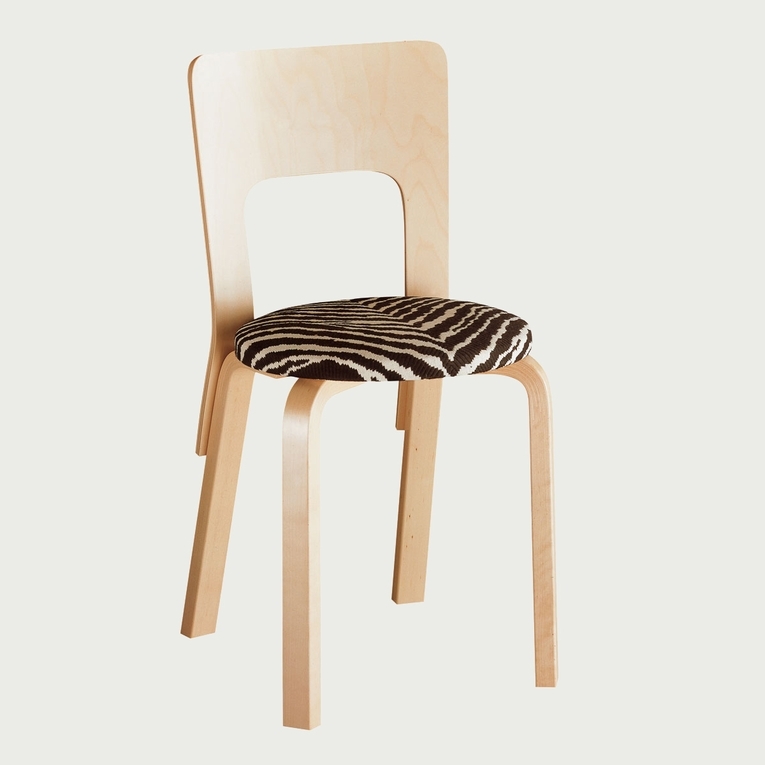 Designed by Alvar Aalto, the high-back dining chair has a solid birch core with birch laminate and face material. Solid birch legs and a high seat back made from molded birch plywood give the chair a formal presence. The 66 Chair is in the permanent collection of The Museum of Modern Art, New York. Made in Finland by Artek, this chair is available in several different upholstery options. Simple assembly required.Please review our Shipping Information page before ordering. 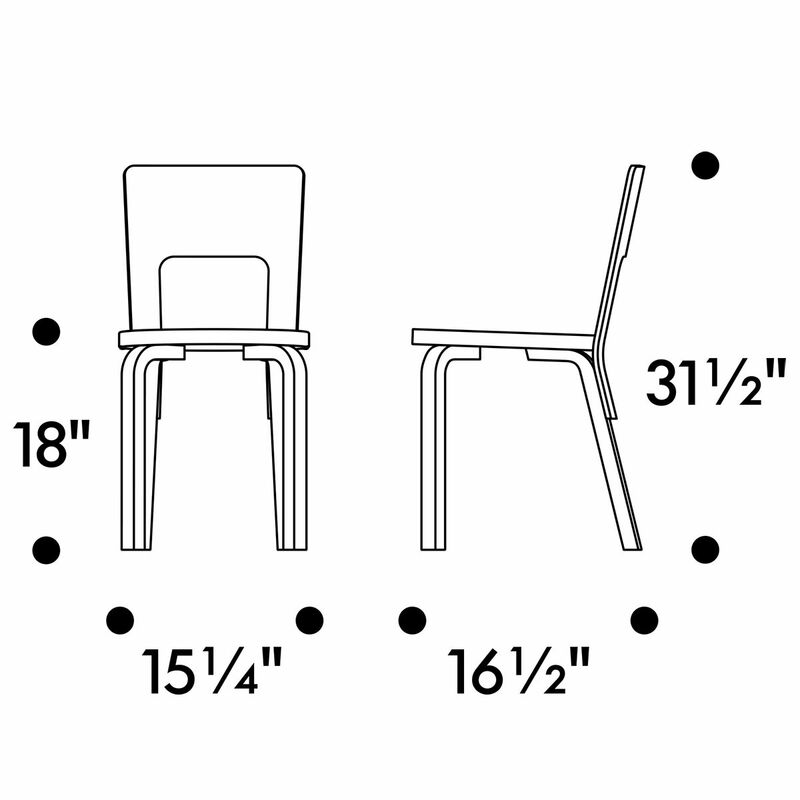 Measurements: 15-1/4" W x 31-1/2" H (39 x 80 cm)See inset illustration for detailed dimensions.